SAN JUAN, Puerto Rico -- A federal control board on Monday ordered economically-ailing Puerto Rico to cut its public pension system by 10 percent, furlough tens of thousands of government workers and eliminate Christmas bonuses. The seven-member board created by Congress to oversee the U.S. territory's finances voted unanimously to add those measures to a 10-year fiscal plan presented by the island's governor. The measures will be implemented if the government cannot find other ways to cut spending and generate revenue. Board members said the spending cuts are necessary so that the government will have enough money to pay for essential services such as education, health and public safety. 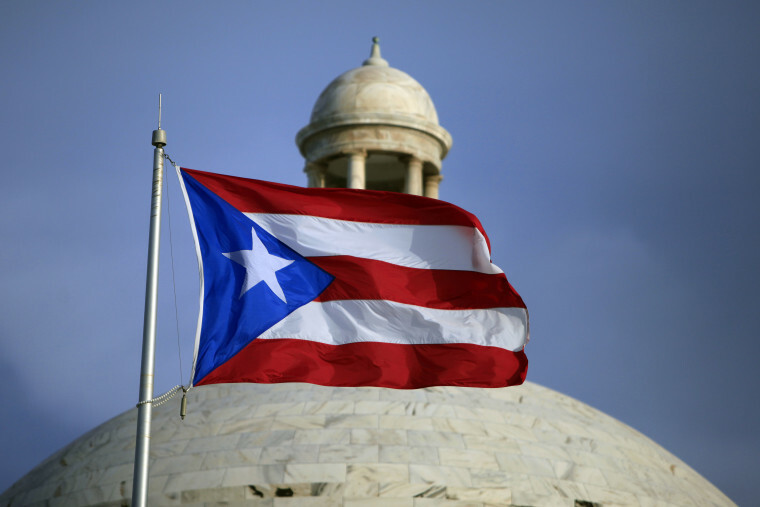 "Puerto Rico is about to capsize," said board member David Skeel. "The island is overwhelmed by debt. Puerto Rico is in real danger of running out of money for even the most basic essential services." Gov. Ricardo Rossello had resisted some of the board's cuts, arguing they would fall too heavily on many living in Puerto Rico, which faces nearly $70 billion in public debt that it is seeking to restructure. He told The Associated Press that he was pleased with the plan and is confident his administration will find ways to head off the furloughs and the elimination of Christmas bonuses. "That's my goal," he said by phone. "We're taking bold steps to making sure the economy gets jumpstarted. We're very much well on our way." Elias Sanchez, the governor's representative to the board, told the AP that the territory's government hopes to avoid at least the first round of furloughs by proving it will have $200 million in cash reserves by June 30. The board and Puerto Rico's government still disagree about cuts to the island's public pension system that would hit hundreds of thousands of government workers. The system faces $50 billion in liabilities and is expected to run out of money by year's end. Board members said they will protect the most vulnerable retirees and ensure no one is pushed below the federal poverty line. The board will make recommendations by next month on what kind of pension changes will be implemented, but it said the system will switch to a pay-as-you-go method and that teachers and public safety workers will be enrolled in Social Security by 2020. Currently, teachers and police officers in Puerto Rico do not receive Social Security. Meanwhile, the board demanded furloughs of four days a month for government workers and two days a month for teachers, saying the step would save up to $40 million in savings a month. The furloughs will take effect on July 1 unless the government proposes other cost-saving measures. In addition, all Christmas bonuses could be eliminated by fiscal year 2018. "This is barely the end of the beginning of a long process to get Puerto Rico on the road to economic growth again," said board member Jose Ramon Gonzalez. "There are no simple, no easy, no painless solutions to the problems that have built up over 20 years." Puerto Rico racked up debt in recent decades by borrowing to balance its budget even as its economy was sputtering. In June 2015, the island's former governor announced that public debt totaling more than $70 billion was unpayable, and the island has defaulted on millions of dollars owed since then, forcing U.S. Congress to step in and sparking a barrage of lawsuits filed by angry creditors. Many believe the measures within the fiscal plan will worsen an exodus of Puerto Ricans to the U.S. mainland, with half a million people having left the island since 2005. Hundreds of Puerto Ricans blocked traffic along one of the capital's main roads to protest the approved plan, and more protests are expected in upcoming days. The plan drafted by the government and approved by the board also will cap some Medicaid benefits, effectively raise property taxes and scrap some infrastructure projects while possibly turning ferries, ports and parking lots over to private companies. It will freeze salaries until 2020, seeks to privatize the generation of power and increase traffic and motor vehicle license fees by 10 percent.